I want to start by sharing how three seemingly unconnected facts, leading me to discover that the Wedding Industry does not have the creation of your “Dream Day” in mind. The masterminds behind such ideas as wedding favours, or in other words, presents the bride and groom buy for their guests … on their wedding day … care about only one aspect of your matrimonial celebration; how much money is it going to make them?? Aforementioned Elyse trivia time. To begin with, I have the distinct pleasure of being not only American, but born and raised in Southern California. The golden coast has a reputation for beauty, opulence, luxury, and instilling in each generation the innate desire to competitively demonstrate how much money you make to your neighbours. In the good ole US of A, and particularly in SoCal, the home of movie stars and Orange County, or the cringeworthy “O.C” as the world has come to know it, I was all too aware of what having a wedding entailed. Since childhood, I had known the endless list of professionals which must be hired, gifts to be bought, and traditions, celebrations and pre-celebrations which must be observed, in order to avoid wedding planning failure. 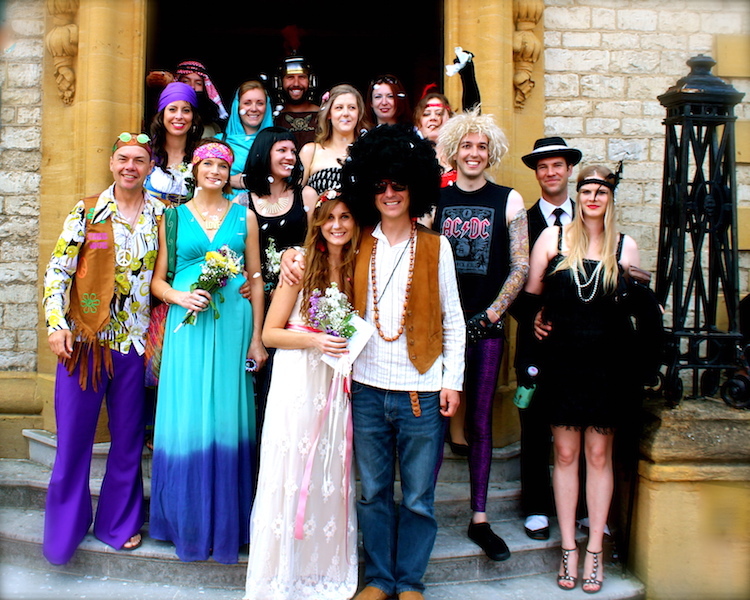 The final fact, which has led to my dismal opinion of the wedding industry; I had TWO weddings. The geography of an international love affair is to blame, but my hope is the lessons learned can help not only myself, but others, and therefore, were worth the pain, the stress, and the expense. Our first wedding was planned for the summer of 2013, in the city of Oxford, near to our home, and with the hopes of accommodating our dear UK friends. With my family in California, and my husbands having emigrated to New Zealand several years prior, we were effectively orphans in our country of residence, and our British friends, were our greatest support, and our “family away from family.” So making sure to have an event to include them was essential. 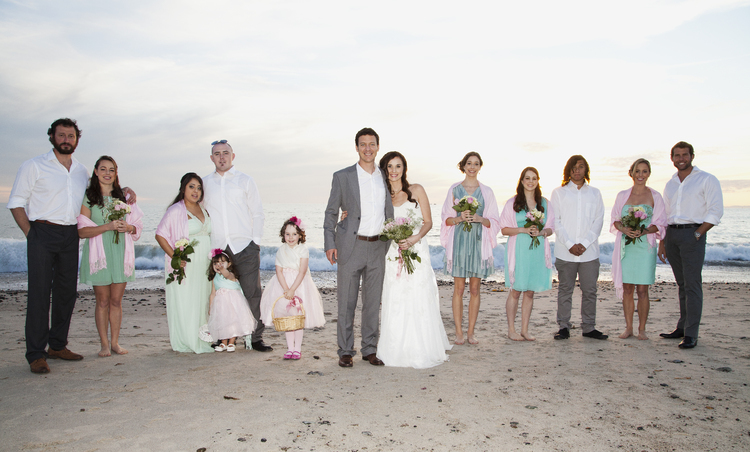 Our second wedding was then planned for the Autumn of 2013, in the beautiful Orange County coastal town of San Juan Capistrano, and would include a guest list which literally spanned the globe. The stakes were immediately higher for this event, as was the budget. 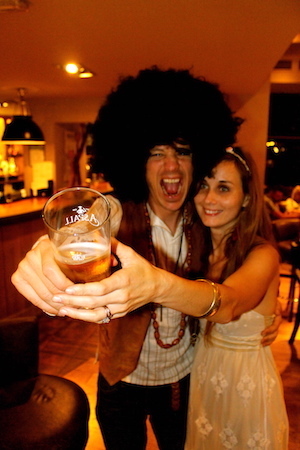 There is no way to carefully reveal the nature of our first wedding, so I will just come out with it; we had a fancy dress (costume party for my American readers) pub crawl in Oxford. How did this come to pass you might ask? My husband-to-be simply said one afternoon “what if I was wearing a giant afro at our wedding?” Which leads me to my first lesson learned about how to have the perfect wedding day; remember at all times, this is not your day alone, but instead the shared celebration of your shared love, and the marking of the start of your shared life. Don’t let yourself get so caught-up in what vision you have created in your mind, fuelled by your frienemies at the Wedding Industry, that you are blind to discovering what would make you both happy that day. So instead of ignoring his silly suggestion, I pondered it. Soon enough talks of afros turned into the creation of a whole theme; “Love through the ages”, and on the day my husband and I exchanged vows, I didn’t just have an audience of my best friends to support me, I had an audience of my best friends dressed as 80s rockstars, Cleopatra, flappers, hippies, and even a Roman Soldier to sign as our witness. My husband and I spent under $500 for our wedding. Total. Including our outfits, the price of the legal paperwork, and sharing a meal with our nearest and dearest. Second lesson; don’t be afraid to break away from the expected and the predictable. One of the reasons I enjoyed our first wedding so much was the value for money. It’s human nature to appreciate something more, when we know we got a good deal. Third lesson; frugality is a virtue, why wouldn’t you want to apply that logic to your wedding? We explained in our email invitations that we would like as our wedding gift for our guests to join us on the day, and treat themselves to a pub meal. We booked a pub which would cater to a large group without charging a venue hire fee, and we had a ceremony at 10am to avoid a venue hire fee at the Registry office. 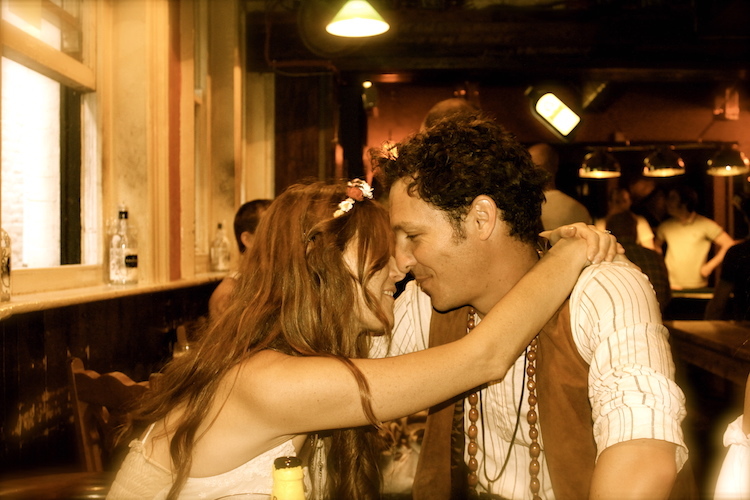 Our wedding toasts were beside an Oxford canal, were we all drank out of communal store-bought champagne bottles. Instead of spending our whole budget on a fancy cake, we fed each other a bite of sticky toffee pudding from the pub’s dessert menu. Rather than hire a pricey professional photographer, we handed our camera to a friend before the ceremony and asked him to take pictures for us whenever he could, he was more than happy, and felt honoured at the delegated responsibility. Our California wedding was beautiful, immaculate really. Every detail of the decor and the day were painstakingly planned. In fact, so much was to be packed into one afternoon that guests were handed a handmade craft paper Itinerary as they walked along the beach to the ceremony. 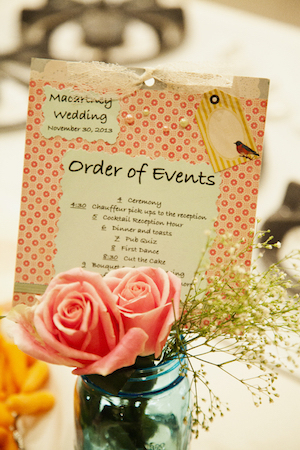 Final wedding lesson; plan the day to optimise enjoyment, not tick wedding industry boxes. I enjoyed the bringing together of our families in the many pre-wedding events, never felt so pampered as after our hair and make-up stylists were done with me and my bridesmaids, I have beautiful sunset beach shots from our photographer, and the personalised wedding topper from our three tiered cake. But, I also had months of planning, a hefty budget, and a day that had to run on military precision timings to accomplish everything it set out to. Don’t be duped into believing you have to follow the traditional wedding recipe in order to have your ideal wedding day. No one cares if they go home with a keepsake keychain, or got to take their picture in a prop photo booth, they are there to celebrate your love, and set you on the right path of a supported and happy marriage. In our first celebration, I accomplished the goal of every wedding; my best friend and soul mate became my husband. But this goal was achieved without breaking the bank, without any stress or anxiety, without a single pre-wedding tiff, and I had more care-free fun in that day than on any before or after it.